American firm proposes “Zero Gravity Roller Coaster” | UNBELIEVABLE! Anyone familiar with Alton Towers or Thorpe Park will know that roller coasters are awesome. But now, BRC Imagination Arts, a Californian design firm, has proposed a roller coaster sure to eclipse any theme park experience. 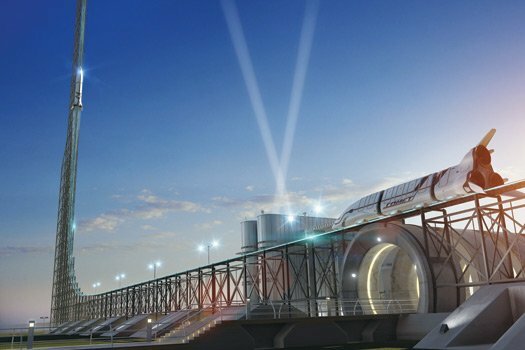 It is a ride which will accelerate passengers at such magnitude that they will become “weightless” for a whole eight seconds. BRC drew inspiration from NASA’s “Vomit Comet”, the aeroplane which is used to acclimatise astronauts to the sensation of being in outer space. Their roller coaster will achieve the same effect by accelerating up to top speed, over 100 mph, on a vertical track, and then suddenly starting to decelerate. This will throw passengers out of their seats, and then the ride will adjust its speed so that it matches the velocity of the passengers. Upon reaching the peak of the track and descending, the roller coaster will continue to match the speed of its falling passengers, prolonging the feeling of weighlessness for several seconds. It is perhaps the closest thing you can come to experiencing being in outer space without needing to be an astronaut. Bob Rogers, BRC’s founder and chief creative officer, says the zero-gravity ride would cost $50 million or more, mainly due to the complexity of the precision-response propulsion system. It is still only a concept at this stage, but, if the company could acquire the necessary funds, Rogers claims that this will become a reality by the end of 2013. Posted on February 10, 2012, in Physics, Technology and tagged Awesomeness, BRC, Roller coaster, Space, Technology, Theme Park, Weightlessness, Zero Gravity. Bookmark the permalink. 2 Comments.